Aboriginal presence at festival a growing trend, say native filmmakersOn Sept. 9, Barnaby will unveil the world premiere of his debut feature, Rhymes for Young Ghouls, which he wrote and directed. The irreverent drama is set against the backdrop of residential schools in the 1970s as it follows an aboriginal teen (Kawennahere Devery Jacobs) who exacts revenge on a sadistic Indian Agent. Meanwhile, Obomsawin's doc, Hi-Ho Mistahey!, will make its world premiere this Saturday with a look at the plight of the Attawapiskat First Nation in northern Ontario and the lack of funding for the education of children in First Nations communities. Between those two features and the Peter Stebbings-directed drama Empire of Dirt, which debuts at the fest on Friday, "it turned out to be a really big year for First Nations films," says Canadian features programmer Agata Smoluch Del Sorbo. Barnaby predicts the trend will continue. 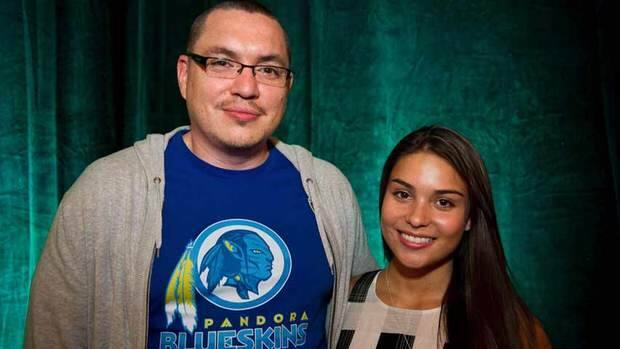 "I think there's a huge fascination with film on any native reserve, because there's so little to do there, and nine times out of 10 what you're doing is kind of occupying your time going to the movies or playing video games," he said. "So, I think the medium really has a presence in native reserves, particularly because there are so many films out there with native people in them. "So, I think you're going to start seeing a bit more native filmmakers coming out of the woodwork. "Comment: For more on Native film festivals, see Mesnak Wins at AIFF and Native Blood Wins Best Music Video.